A fall layout... this pic was taken just about half a year ago, so I guess I'm feeling a little nostalgic :) I used Bo Bunny "Apple Cider" collection, and some Prima flowers and flourishes. 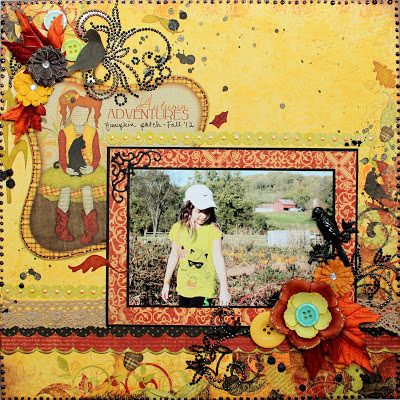 The black corner flourish is a Cheery Lynn die, and I'm entering this LO in their Challenge #84 - Creative Corners. Love those colors any time of year. That collection is nice..
What a lovely layout! Your color choices are fantastic, as always. Thank you very much for joining us this week at Cheery Lynn Designs. This is really pretty, I love the earthy colors!! What a stunning layout. Your picture is just perfect with that Bo Bunny paper and your flower clusters are lovely. Thank you so much for joining us this week at Cheery Lynn's Challenge and best of luck. 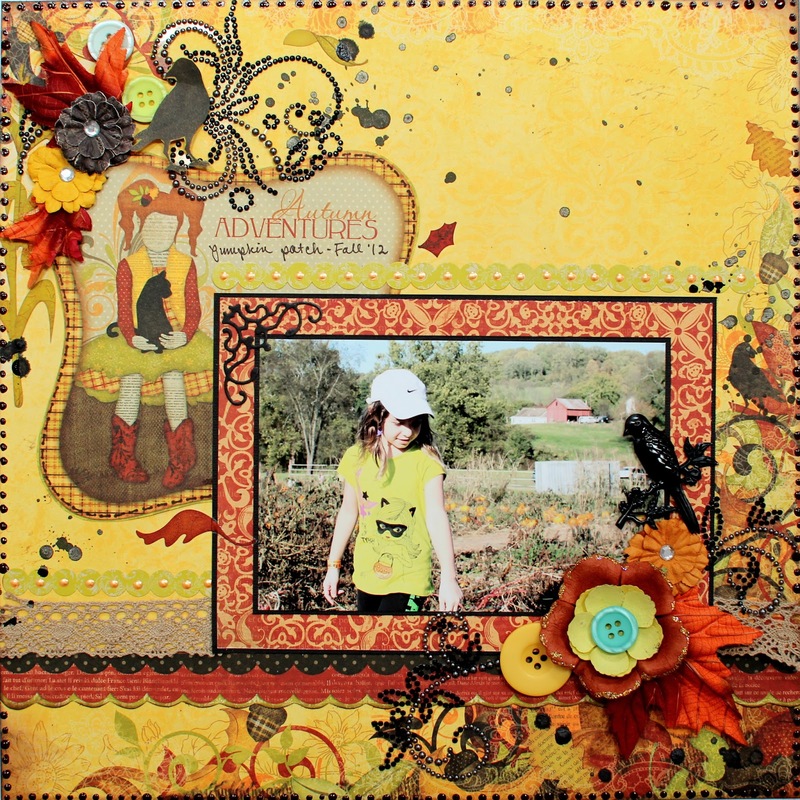 Great layout, Ilene! Thank you so much for joining us at the Cheery Lynn Designs Challenge and good luck!